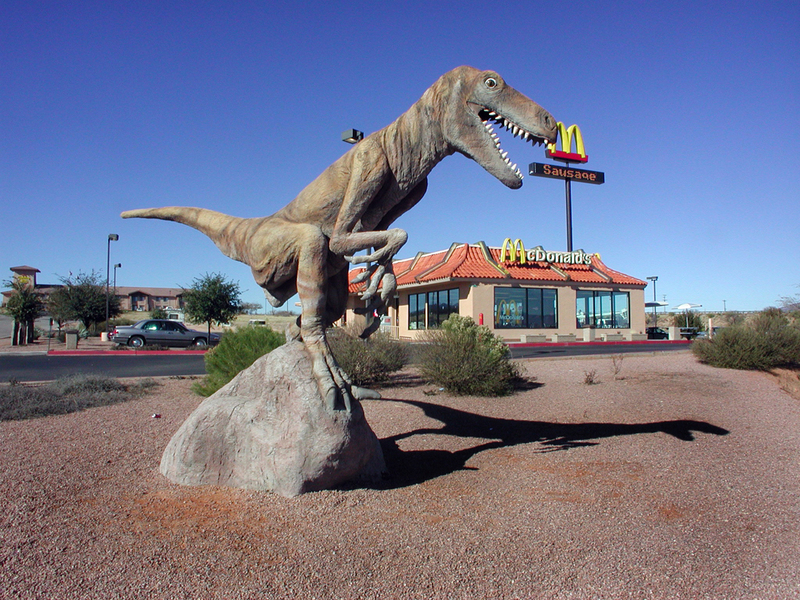 The area in Arizona west of Interstate 19 and south of Interstate 10 is a forgotten quadrant of the state, perhaps because it is so lightly populated, perhaps because it is so heterogeneous, and perhaps because it chooses to be. It is a place where retirees and the remnant of hippiedom are often the same people, where irrigated farms fill the flatter areas and the hills are riddled like Swiss cheese with tunnels, more often abandoned than not. I went there often, partly because I like the less formalized regions in general, and in part because I had so many newspaper assignments there: wine country, the opening of Kartchner Caverns, the anniversary of filming Oklahoma! in the grassy fields of Patagonia, the Amerind Foundation in Dragoon, historic Fort Bowie, birding in Ramsey Canyon, a tour of copper mining in the state, a travel piece about the Chiricahua Mountains. It is home to some of the most picturesque desert and mountain landscape in Arizona, and it is also home to the army-base squalor and mini-mall-and-tattoo-parlor congestion of Sierra Vista. 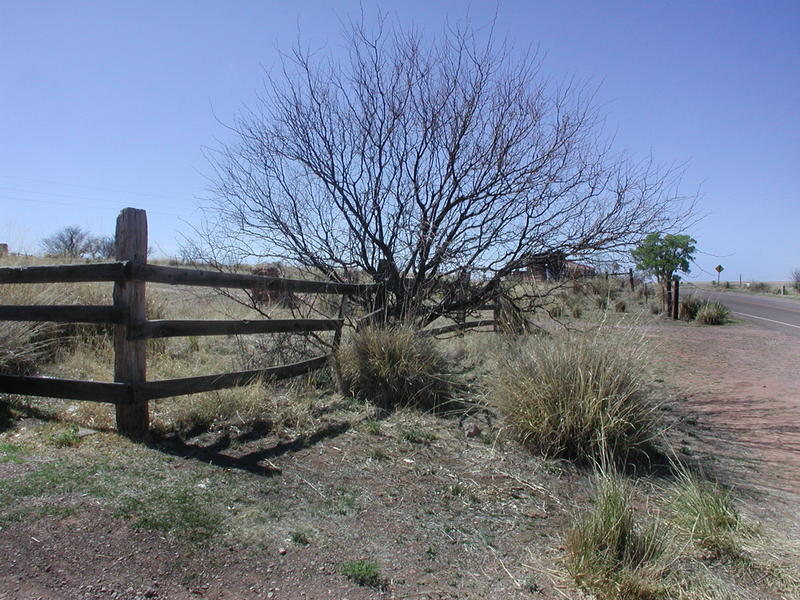 This part of southern Arizona is defined, more than anything else, by what is no longer there. Dozens of townsites are now only blowing grass; whole mountains have been turned into empty, terraced holes in the ground. Geronimo’s been captured; the ores are largely played out; and the railroad doesn’t stop here anymore. Yet, everywhere you turn are reminders of how things used to be. Old land grants show up on maps along with mountain ranges named after Indians. Abandoned mines perforate the hills and tell of short but acute prosperity. Former railroad rights-of-way cut across river bottoms that used to be littered with bustling towns. Ruby, Gleeson, Charleston and a score more towns like them are now only crumbling adobe, gray weathered boards and unhinged tin roofs banging in the wind. The area south of Interstate 10 is a gigantic history museum, and that history is based largely on copper, cattle and crops and the water needed to exploit them. 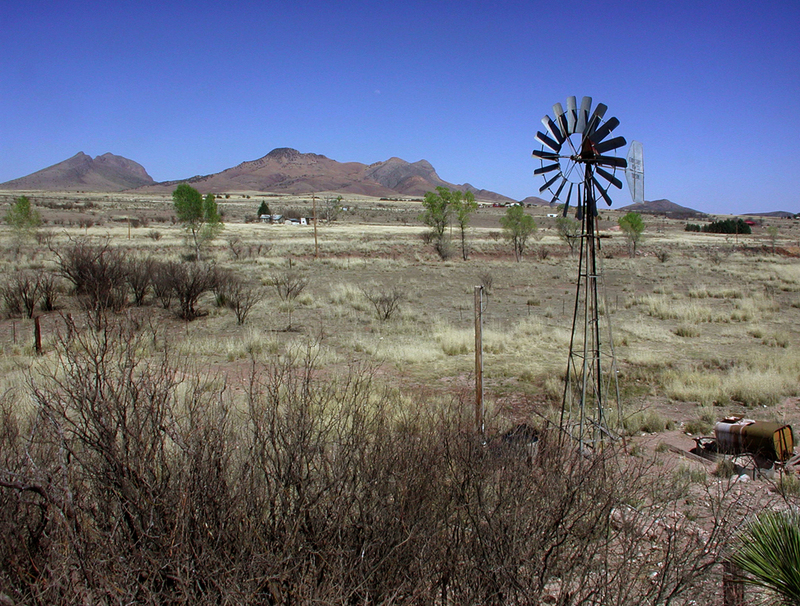 Drive to Bisbee and see the Copper Queen Mine, or drive east of Douglas and see the John Slaughter ranch, or drive north in the Sulphur Springs Valley to the farming community of Kansas Settlement where the irrigation still coaxes green out of the brown dirt. It is a history of hard-working people wrestling an existence out of the ground beneath them. You can see it in the drawn faces that stare out of century-old photographs: the Cornish miners, the Mexican vaqueros and the Mormon farmers. They lived hard lives and when the mines played out, or the ranch lost out to urban encroachment, they moved on. What they left behind more often than not, was the weathered bones of their existence, the frame houses, mine-shaft timbers and empty general stores. The boom of the late 1800s died down. 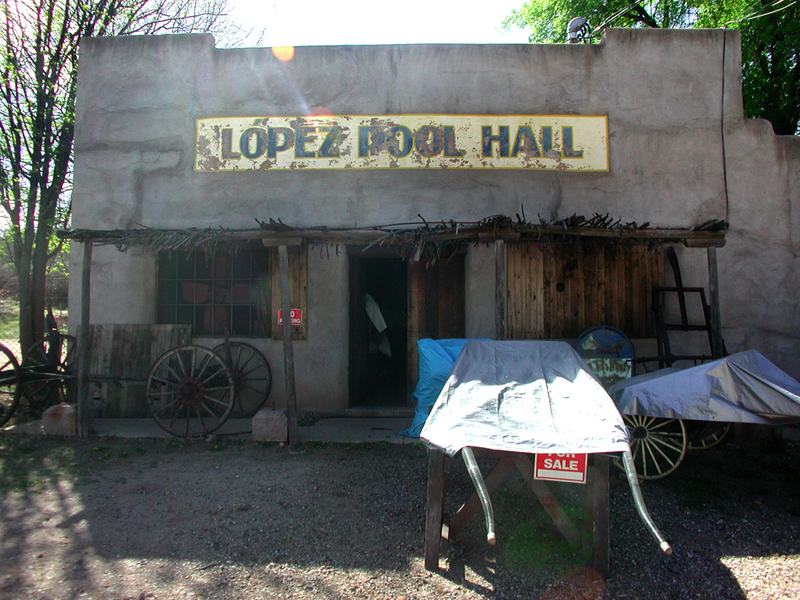 In 1882, Tombstone had an estimated 10,000 people and was the largest town in Arizona. By 1940, that number was just over 800. There were fewer people in Cochise County in 1950 than there were in 1910. 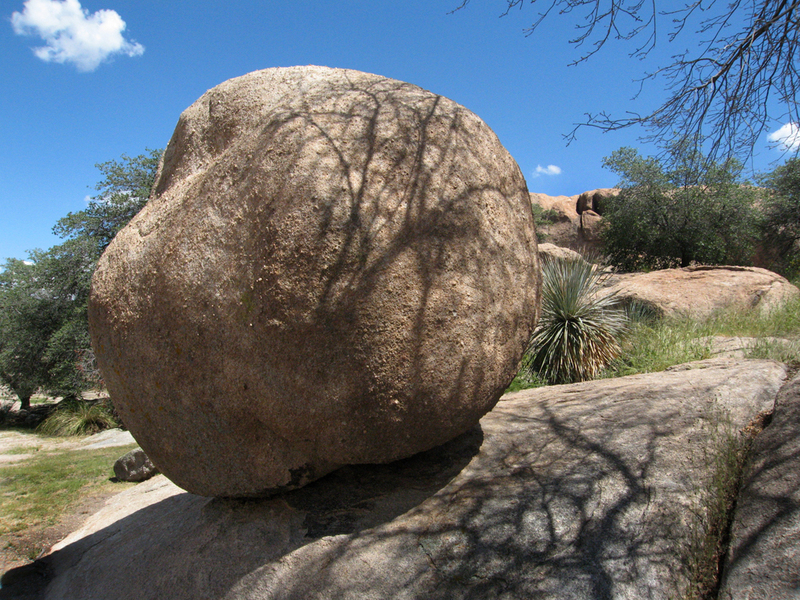 The first big wave of prospectors came to southern Arizona in the 1860s after the California gold rush. They came for gold and silver and found found what they were looking for. 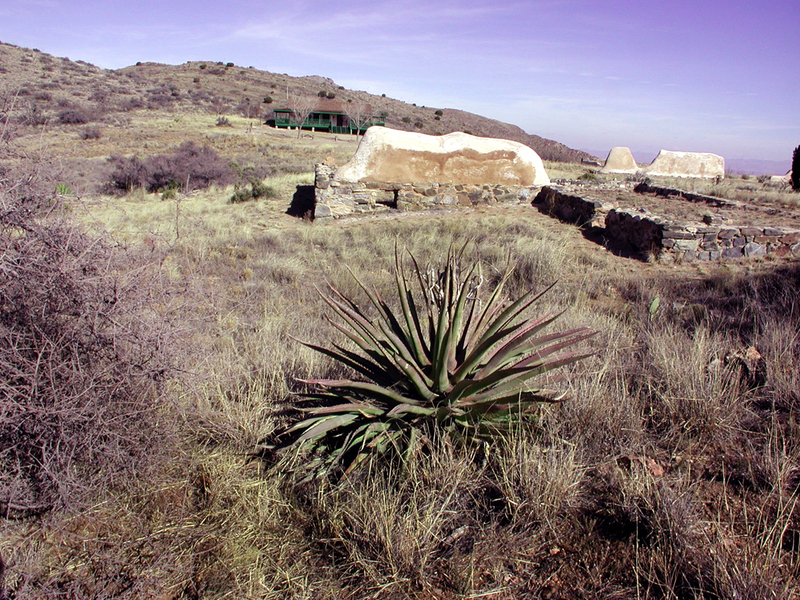 In Tombstone, 5.8 million ounces of silver was mined in 1882 alone. 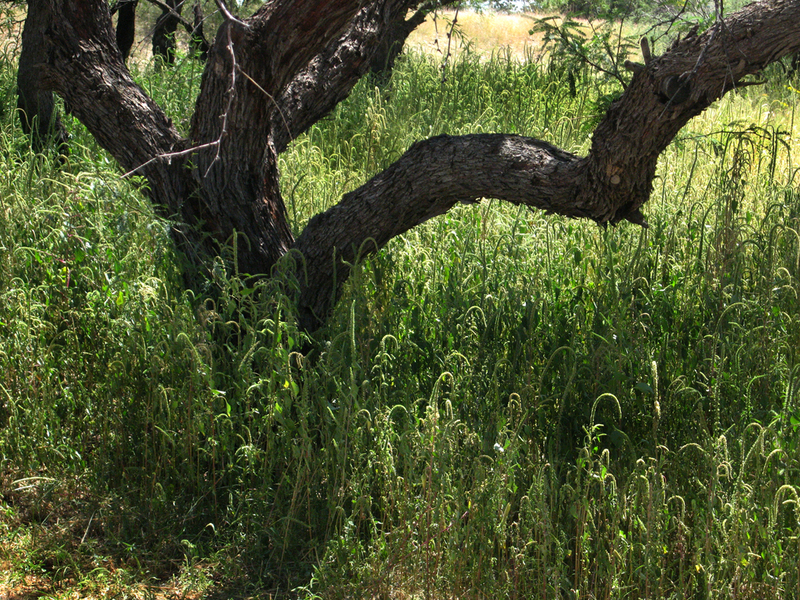 But because the water needed to process the silver ore wasn’t to be had in Tombstone, a series of satellite communities were built along the San Pedro River, some 10 miles or so west of Tombstone, where Millville and Contention City gave rise to stamp mills that processed the ore that was hauled in in wagons. Charleston and Fairbank arose to provide food and dry goods to the miners and mill workers. Fairbank became something of a shopping mall. 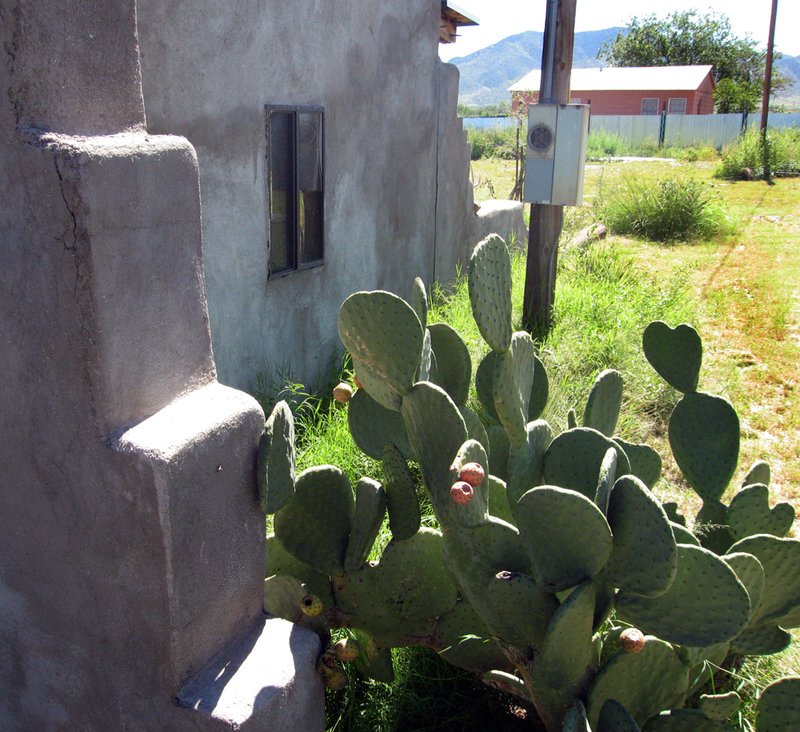 Built beside the railroad that followed the San Pedro, the town supplied Tombstone with its food and goods until well into this century. There were no groceries in Tombstone; residents had to ride the 10 miles down to the depot and the Fairbank Commercial Company. The town never had more than about 100 people, but it did have a hotel, and for a while, a Goldwater-owned store. That all changed in 1884 when the Tombstone mines began flooding out. By 1888, the Contention City post office closed; other communities followed. Fairbank lasted into the 1970s, with a population of 3 in 1971. 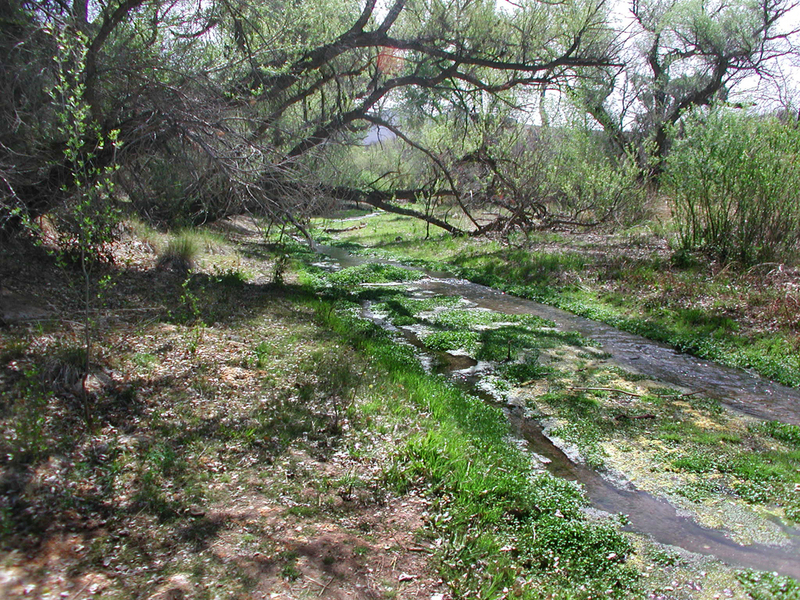 Now there is only the volunteer site host for the San Pedro Riparian National Conservation Area, living in a trailer near the back of the “town.” The store and post office — built in 1883 — are still standing, as is the schoolhouse built in 1920 and a couple of homes and outbuildings. 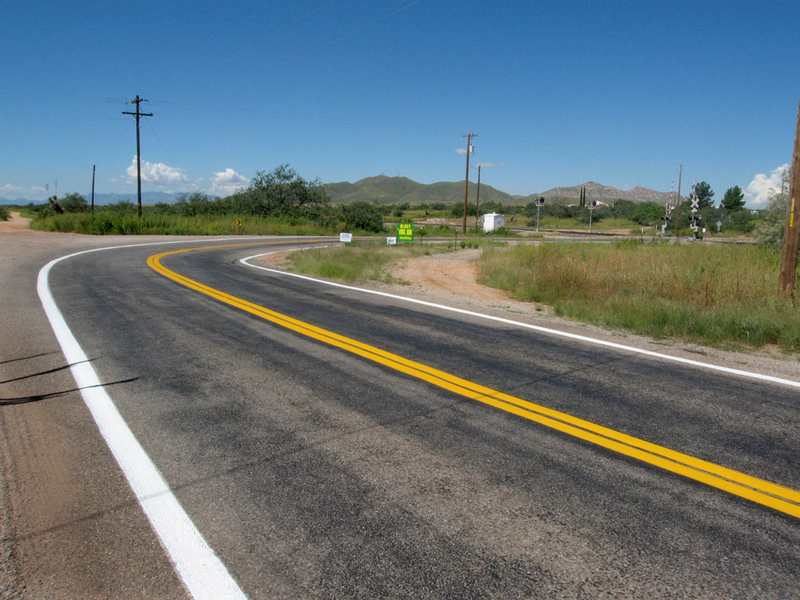 Where the Montezuma Hotel used to stand, there is now the asphalt of Arizona Route 82, which runs past the site. The pattern of boom and bust played out all through the region. Claims were filed, mines opened, saloons opened, mines played out, people left to move on to the next new ore pit. 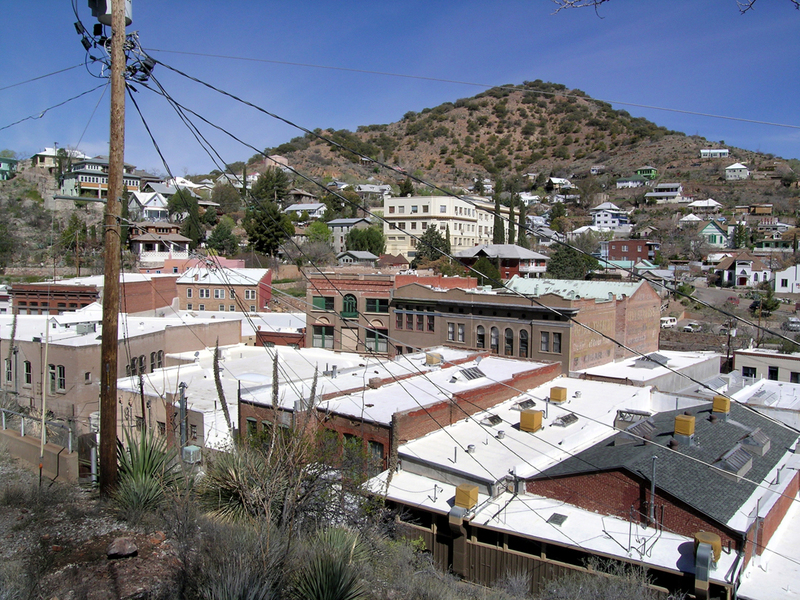 One town that has lasted longer than most is Bisbee. 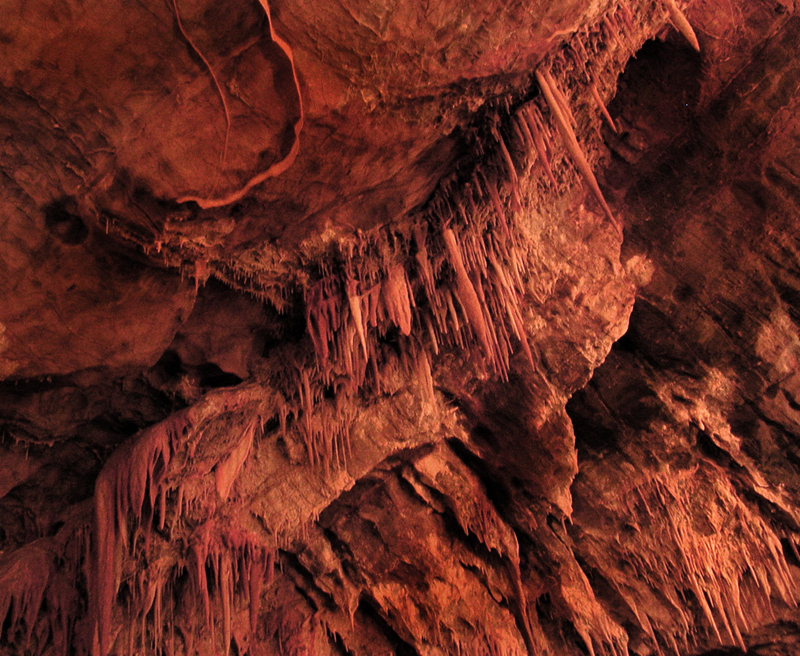 It owes its existence to copper, which was discovered in the surrounding Mule Mountains in 1875. Three years later, it was profitable enough to haul ore to the railhead in Benson and send it on to Pennsylvania for smelting. By 1901, smelting operations were moved to Douglas, only 25 miles to the east, when a railroad was built. 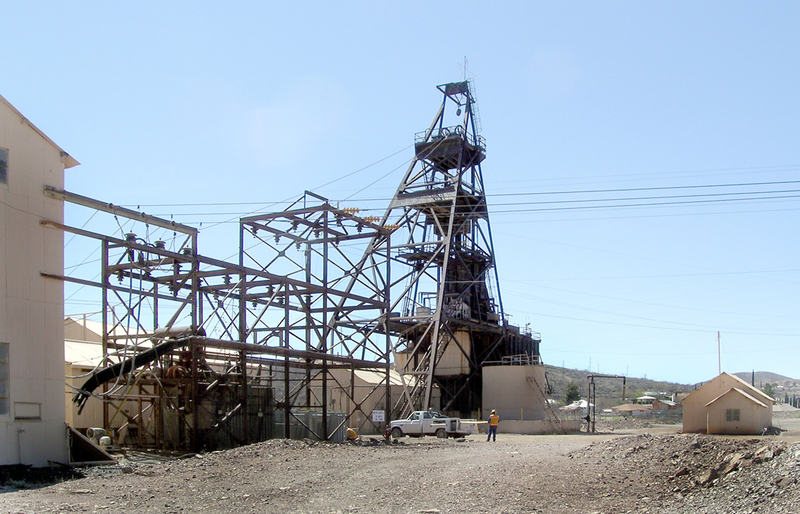 The Bisbee mines successfully produced copper and its related metals for 90 years. 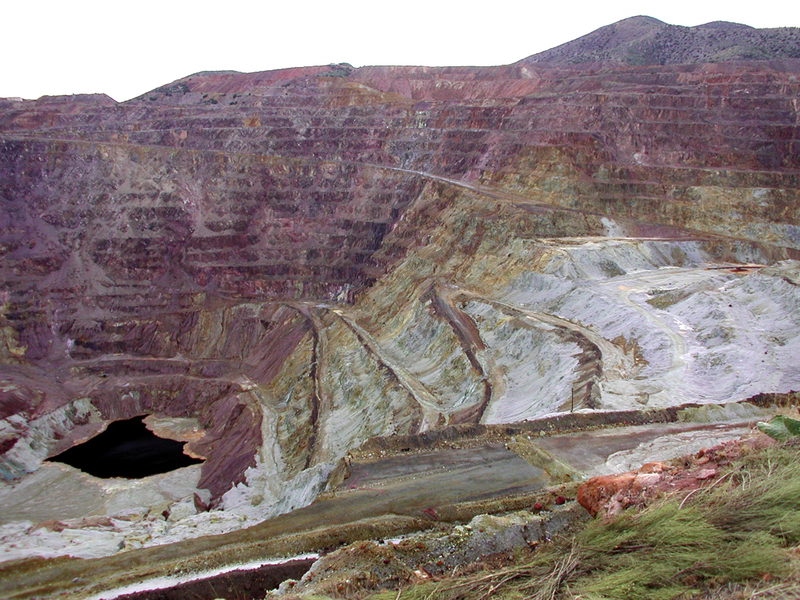 Over that time, miners extracted more than 8 billion pounds of copper, worth about $2 billion. The mines also yielded 3.9 million pounds of lead, 3.8 million pounds of zinc, 2.7 million ounces of gold and more than 1 million ounces of silver. In the process, some 2,000 miles of tunnels were drilled through the mountains. By the turn of the century, it was the largest city between St. Louis and San Francisco, with 20,000 residents. With Brewery Gulch and a red-light district, it had all the color you could as for, and after a major fire in 1908, the city rebuilt largely in brick. Those buildings still survive, largely unchanged, giving visitors a peek at what life was like back then. The mines thrived, copper prices went bust, the mines suffered. There was union activity. In 1917, there were strikes at most of Arizona’s major mines; Bisbee’s answer was to round up 1,200 strikers, herd them into railroad cars and ship them east to New Mexico where they were dumped unceremoniously. This was the infamous Bisbee Deportation. By then, new technology allowed the introduction of open pit mining and the face of Bisbee began changing forever. The most famous of these pits opened in 1951: The giant Lavender Pit mine operated by Phelps Dodge dug a monster hole into the ground just south of town. It eventually wound up some 900 feet deep by the time it closed in 1974. Bisbee itself might have closed down soon after, but its residents liked living on the mountainside and a host of retirees and later, artists and lingering hippies, now long of beard and wide of girth, joined in to keep the town alive. 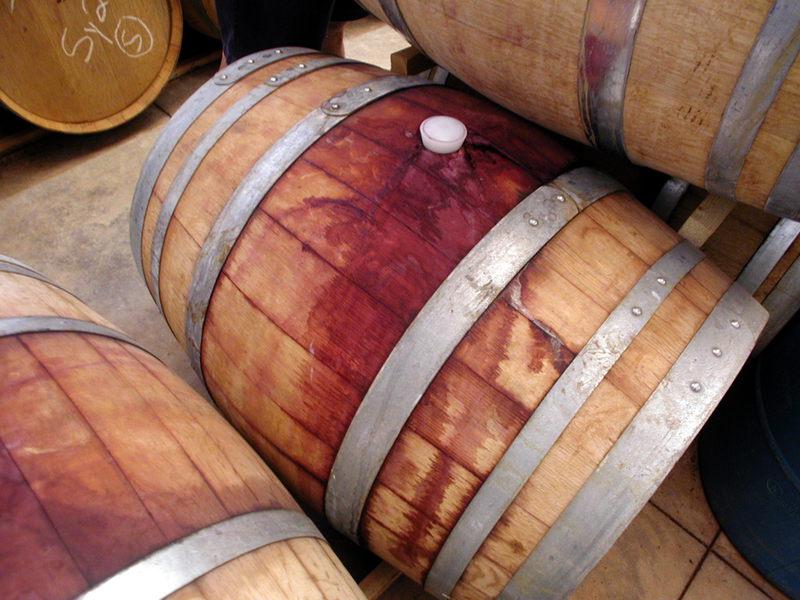 Where once you would find a miner tossing down rotgut whisky, you are now more likely to find microbrew or a hazelnut latte. My favorite vista in the quadrant is the Willcox Playa, a huge dry lakebed that functions as a landmark along I-10. You can see it from dozens of miles away, and when you are traveling west on the interstate, it is when you know you are back home in Arizona. In the summer, dust devils whip the white dust into mini-tornadoes of grit and sand. Sandhill Cranes roost in the area. The giant white circle in the flatness of the desert is so dry you know you have to find something to drink. 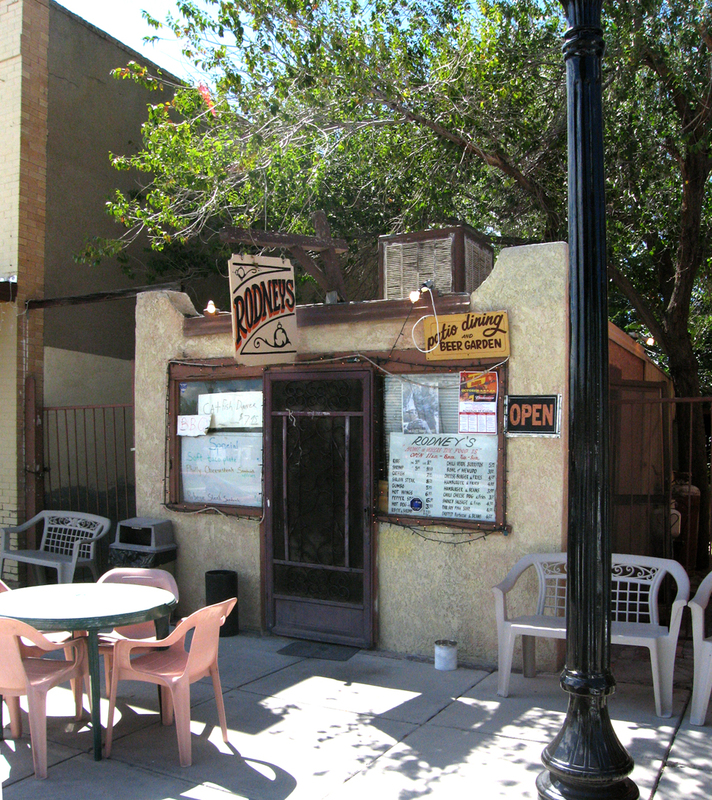 In Willcox, you can grab a soda at Rodney’s. 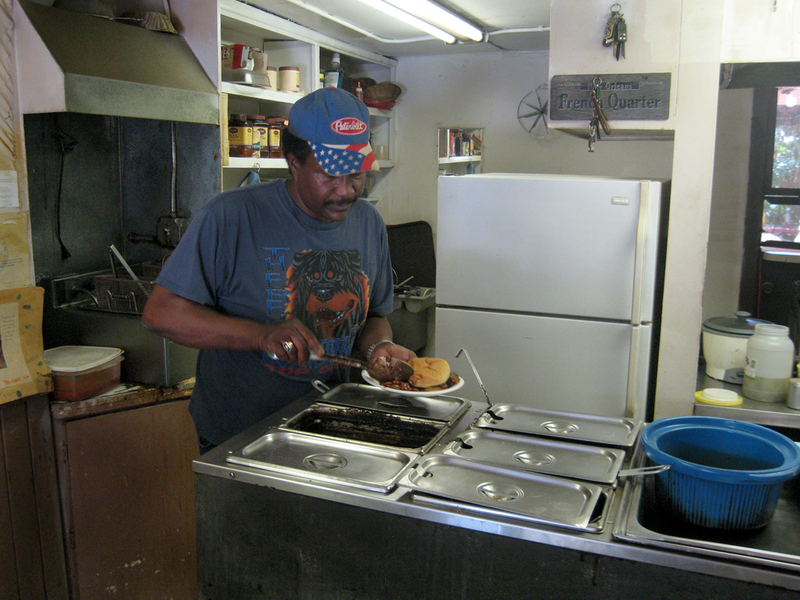 Rodney Brown has run his tiny eatery in Willcox for 20 years. It has a kitchen the size of a closet and no dining room at all — you find a seat out back at a picnic table. It may be a measure of a traveler’s adventurousness to eat at Rodney’s. 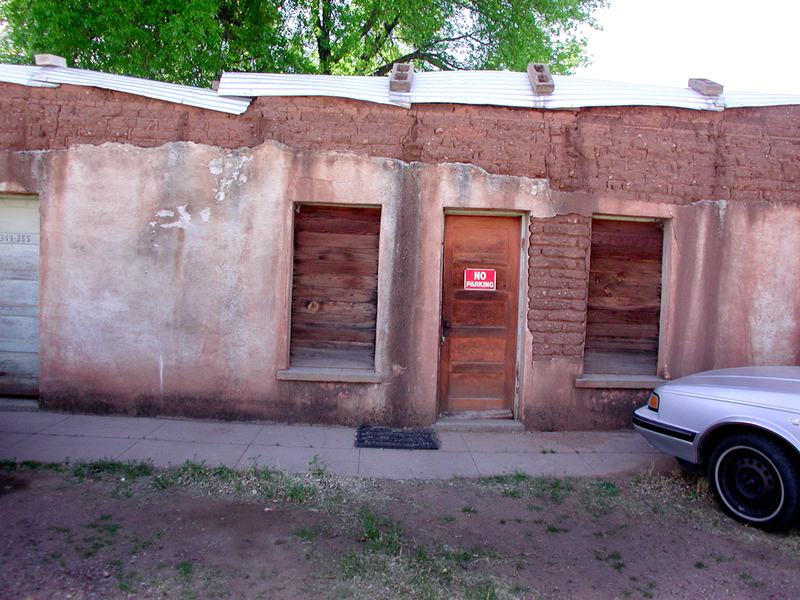 The building on Railroad Avenue, two doors down from the Rex Allen Museum, is barely large enough to qualify as real estate, and its walls are cracking. “This crack in the concrete started only yesterday,” he says, pointing at the wall just outside the screen door to his backyard refectory. Things are informal. If you want a drink, grab one from the ice-filled sports cooler on the floor. There’s nary a vertical or perpendicular line in the building, which leans a bit, and the floor is wobbly at best. The screen door to the backyard doesn’t open all the way; it catches on the uneven ground. Rodney stands behind the counter, taking your order, then spooning the dark, gooey barbecue into a tin pot to heat it up. The food is good. Lots of customers back up in the street at lunchtime, waiting for a chance to get inside and order. Like a barber on caffeine, he keeps the conversation going, stirring your food, pointing to the signed picture on the wall: “To Rodney, all the best, Lorenzo Lamas,” it says. Rodney moved to Willcox 20 years ago after working in Sierra Vista for 10 years. In Sierra Vista, he ran Rodney’s Southside BBQ. Another freight train rumbles by across the street, rattling everything in the joint and drowning conversation. Rodney stops in midsentence, only to pick up again as the train passes and the dishes stop jumping. 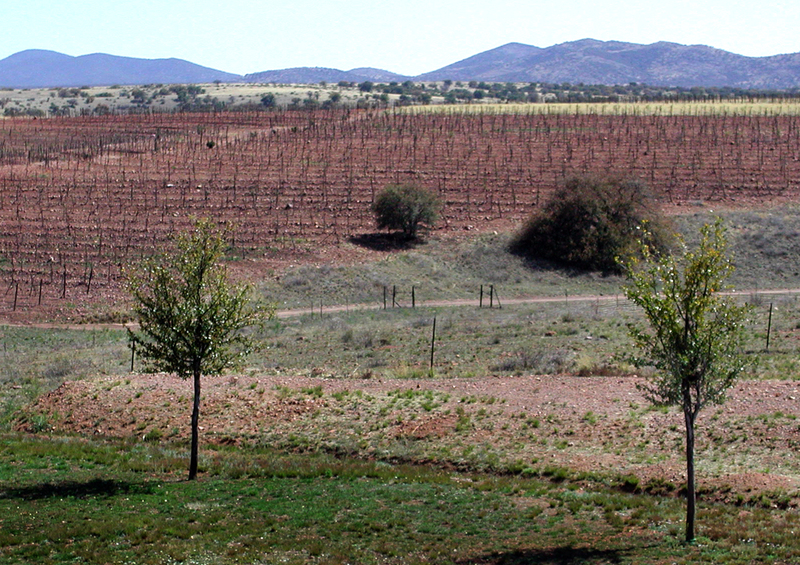 On the eastern side of the quadrant, you find the vinyards of Patagonia and Sonoita. East of Sonoita, the road weaves through more yellow grasslands, with the torso hills getting closer and closer to the road, finally coming together at a pass between the Mustang and Whetstone mountains and dipping then into the wishfully named Rain Valley. 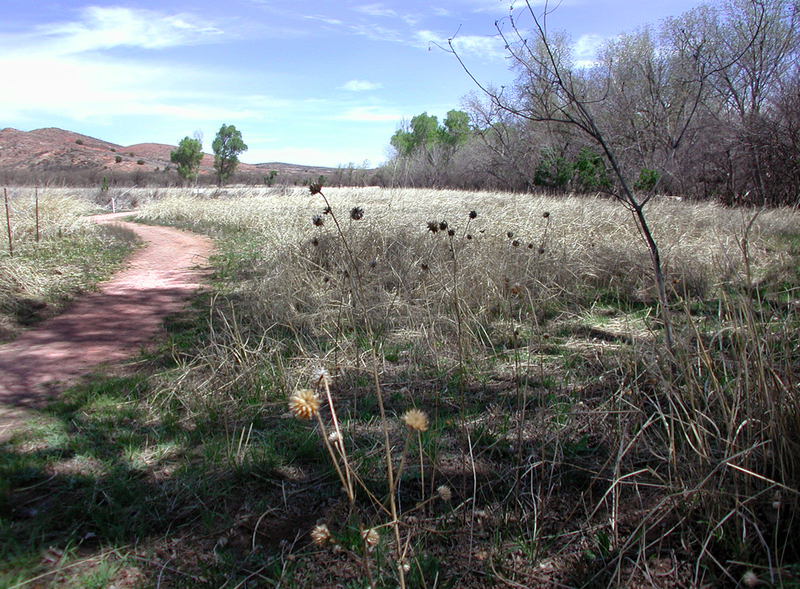 The same road then continues down to the wooly bottomlands, thick with willow, along the San Pedro River. That’s San Peedro, if you want to fit in. All among the trees, the birds are thick as thieves and noisy as conventioneers. Looking down from the aging iron bridge into the water’s flow, you can see the green waterweeds individually pulled in direction of the current. On a cold windy morning in spring, the blow twists the riverbank grasses the same way. 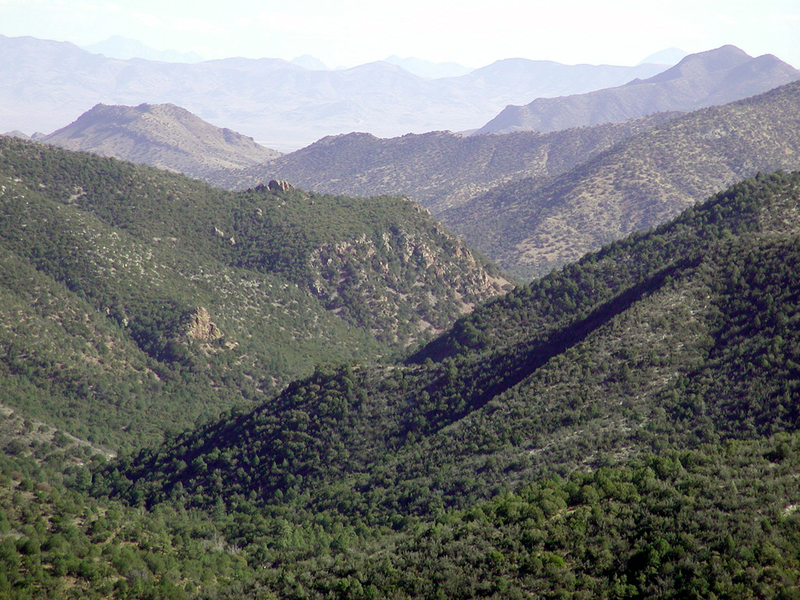 From there, the road goes south to Coronado National Memorial in the Huachuca Mountains. You gain altitude constantly from the river lowlands until you are under the mountain peaks. The pine trees are greenish black and burning in the late afternoon sun. When the pavement gives out, the switchbacks take you up Montezuma Canyon to the pass, where to the east you can see most of the San Pedro Valley and down into Mexico and to the west, you can see as far as Baboquivari and Nogales. When the air is clear — and it is so more often than it is in Phoenix — the valleys below are straw yellow, lined with denim-blue mountain ranges. 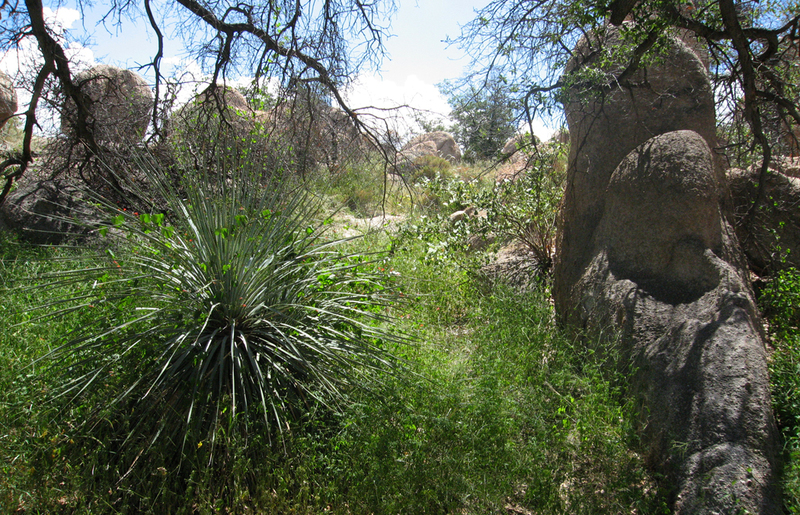 On Ariz. 80 out of Douglas, you pass a misplaced corner of the Chihuahuan Desert in the San Bernardino Valley, a broad saucer of tawny grass and spiky lechuguilla and yucca. The sky near the horizon is the color of a robin’s egg; just below it, the distant mountains are dusky purple and below them, the grays and greens dotted with black trees. Nearer still are the chocolate brown hills and the bottomlands of yellow. It is all spread out like a geological rainbow. The road is long, straight and smooth and you look at the speedometer and are startled that you are doing 80. The horizon is always your destination. 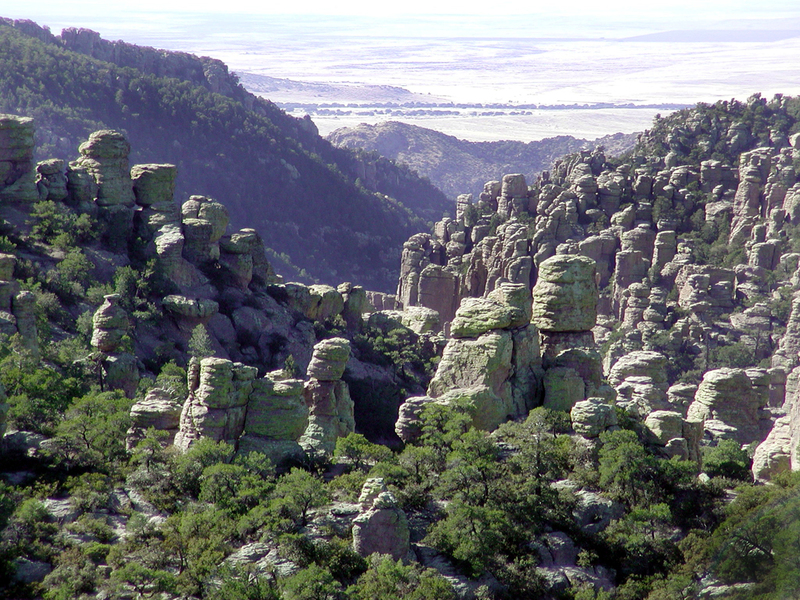 The highway will take you, briefly into New Mexico, where you can turn back toward the Chiricahua Mountains. Few Arizonans, I suspect, have ever crossed the backbone of the Chiricahuas from the east, but the drive through Portal into Cave Creek Canyon is a drive through a rocky portal into Paradise. The broad green canyon is lined with cliffs and pinnacles and could easily be mistaken for a scaled down Yosemite Valley. Along the roadsides, the spring wildflowers dot the shoulders like stars in sparse constellations. They are not so thick this dry year as they have been, but the flowers are still there, lupine and brittlebush, penstemmon and globemallow. Each flowerhead pokes into the passerby’s awareness as individually beautiful and separately tenacious. Perhaps that is why the desert attracts a certain kind of human, demanding their quirky individuality, no matter how bizarre or paranoid. You have repeated the widespread claim that around the turn of the century Bisbee was the largest city “between St. Louis and San Francisco”. Every hotel and B&B in Bisbee has an information pamphlet available making the claim about it being either the largest city between St. Louis and San Francisco or between New Orleans and San Francisco or even that it was the 2nd largest city west of the Mississippi River during that period – with the implication that San Francisco was the largest. I volunteer at the Bisbee Mining and Historical Museum, have studied the history of Cochise County to no small extent, and can say without fear of contradiction that all of these claims about the populations of Tombstone and Bisbee are complete and utter fabrications entirely untainted by the truth. That’s enough, I’ m growing weary of looking these places up even though I’m sure there are more. After 1900 the comparisons only get worse because population of Cochise County was on the decline, especially in Tombstone, and the rest of the western states were booming. For example, by 1910 both Phoenix and Tuscon were much larger than Bisbee. I’ve not been able to pin point who first fabricated these claims but once they are put into print in the information age they multiply geometrically – everything you read on the internet is accepted as the truth. Thank you, Richard Robinson. I was too easily gulled by Bisbee CofC. My only excuse is that I’m only a poor travel writer, not a historian. But I should have checked my figures and not simply accepted the commonly touted claim. My apologies.